GRAND RAPIDS, Mich. – SpartanNash is proud to introduce the Our Family® brand to its Michigan market, bringing the next generation of quality and value to its 87 retail stores – including Family Fare Supermarkets, D&W Fresh Market, Forest Hills Foods, ValuLand and VG’s stores – and more than 300 independent retail customers throughout the state. Our Family products are available in every aisle of the store, offering customers quality and value on everything from pantry staples like milk and peanut butter to non-food items such as batteries and aluminum foil. The brand also offers on-trend items, including several flavors of sparkling water, Greek yogurt and breakfast bars. The Our Family brand has offered “Quality since 1904,” including a best-in-class, risk-free Satisfaction Plus Guarantee; Facts Up Front nutritional labeling; category specific packaging; and a community support program, Direct Your Labels™. The transition to the Our Family brand offers store guests and independent customers a broader product assortment – with nearly 2,000 items located throughout the store – and a tradition of more than 100 years of excellence at an everyday low price. The Our Family label also strengthens the SpartanNash private brand portfolio. SpartanNash will distribute Our Family® brand products to all of its corporate-owned retail stores in nine states, as well as its independent retail customers throughout the country. The Grand Rapids Distribution Center currently supplies more than 700 Our Family products to SpartanNash’s corporate-owned retail stores and independent customers in Michigan. The number is expected to grow to nearly 2,000 items by April. The Our Family brand will serve as the core exclusive private label brand for SpartanNash, with other brands completing the portfolio, including the Open Acres™ fresh brand and Full Circle™ line of organic and eco-friendly home products. 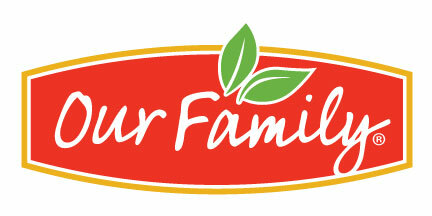 For more information, visit ourfamilyfoods.com.